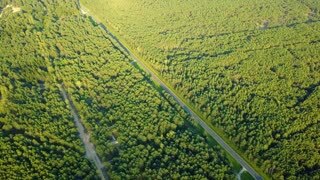 Drone aerial shot of green tree tops surface of evergreen woods and rural roads running through forest in summertime. 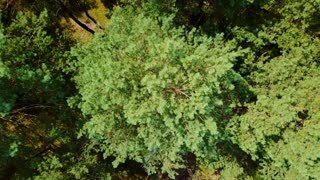 From above aerial shot taken with drone of evergreen tree tops making pattern of forest in rural area in summertime. Drone slowly rising up above calm green forest. 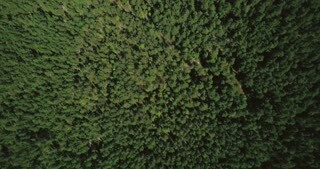 Aerial 4K vertical top view shot of beautiful evergreen pine treetops. 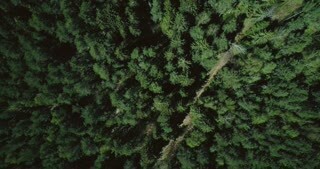 Drone flying forward high above lush green forest. 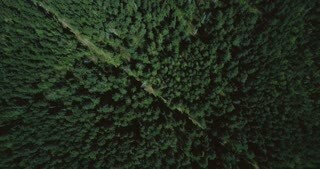 Aerial 4K topview vertical shot of evergreen trees and lonely trail. Drone flying forward over evergreen forest. 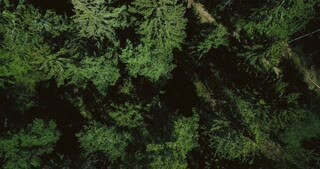 Aerial 4K flyover topview shot of dramatic dark green lush treetops. 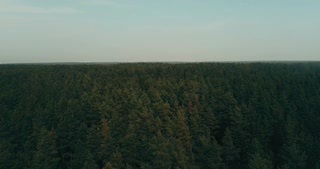 Drone flying forward high above mixed forest. Aerial 4K topview vertical shot of peaceful fall trees and small path. Drone ascending and rotating over forest road. 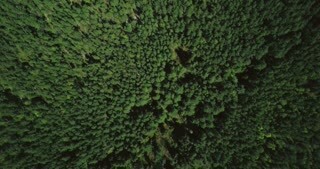 Aerial 4K vertical zoom out background shot of quiet evergreen pattern. 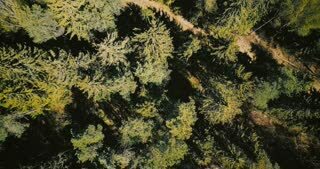 Drone flying slowly above smooth forest texture. 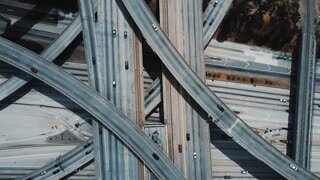 Aerial 4K straight vertical shot of quiet wilderness and lost road. Drone flying fast forward, rising above lush meadow. 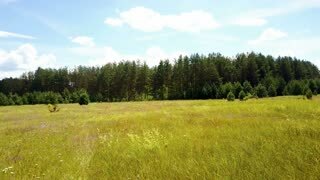 Aerial shot of summer field and evergreen forest. Treetops. 4K.